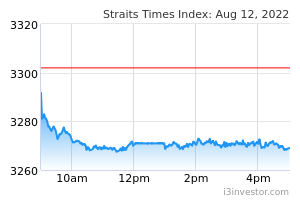 Maintain NEUTRAL with new DCF-backed Target Price of SGD0.41, from SGD0.47 1% upside. We attended the Westlite Bukit Minyak PBWA Certificate of Completion and Compliance ceremony in Penang, Malaysia on 29 Jan 2019. It is Centurion’s first PBWA in Penang and seventh in Malaysia. The property, also known as CAT, was developed in collaboration with the local State Government. The purpose-built workers accommodation (PBWA) is strategically located in Bukit Minyak, on the mainland of Penang where the factories of many electrical & electronics (E&E) manufacturers are situated. The Penang State Government plans to build seven centralised accommodation transit (CAT) facilities, with six being approved and one is undergoing the tendering process. 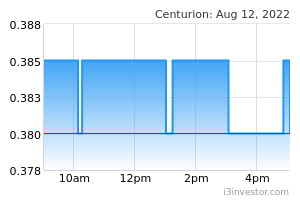 CENTURION CORPORATION LIMITED (SGX:OU8) secured two (Westlite Bukit Minyak and Westlite Juru) of the six projects, and is currently bidding for the seventh project. Westlite Juru is targeted for completion, earliest 2020. The freehold development costing MYR72.3m (about SGD23.8m), has a land area of 17,900 sqm (GFA: 38,919 sqm) with 6,600 bed capacity. We understand that a few clients have been secured, and more are expected to sign up in 1H19. Rental rates for PBWA located in Johor are between MYR110-130. We think that Westlite Bukit Minyak rental rates could be at the higher end of the range or a slight premium given its first mover advantage. The margin for this project is estimated to be similar to the existing PBWAs. We had a drive-by tour after the ceremony to the manufacturing plants in Batu Kawan and the Science Park. This region has attracted many big multinational corporations (MNCs) such as Honda, Ibiden Co Ltd and Western Digital. We understand that about 30% of the land reserved for the industrial sector is still not developed. Micron Technology Inc (MU US) recently announced MYR1.5b investment plans in Batu Kawan, Penang, over the next five years. We believe that Centurion is in the sweet spot to tap onto the growth prospect of Penang. On a full-year basis, Westlite Bukit Minyak would likely generate about SGD3-4m in revenue based on 95% occupancy rate, which is a fraction of the revenue lost from Westlite Tuas Singapore. As such, we remain neutral as more works remain to be seen from both the PBWA and its student accommodation. Key downside risks are weakness in rental rates in the dormitory space, and changes in government regulations. The converse represents the upside risks.